#Microsoft365 – Today we’ll be taking a look at Microsoft Office. As you know this is included in Office 365 (Microsoft 365) as Online Office and Desktop Apps. Office is still available as one-time purchase options which I’ll explain as well. 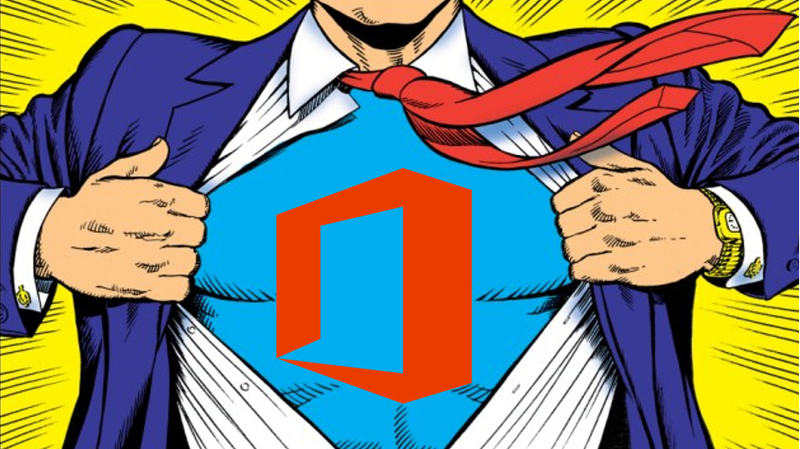 This post will also give you all the resources to get you started on becoming a Microsoft Office SuperHero. I would have to wait until the company I worked for bought the new Office version, and by then the follow up version was out already. 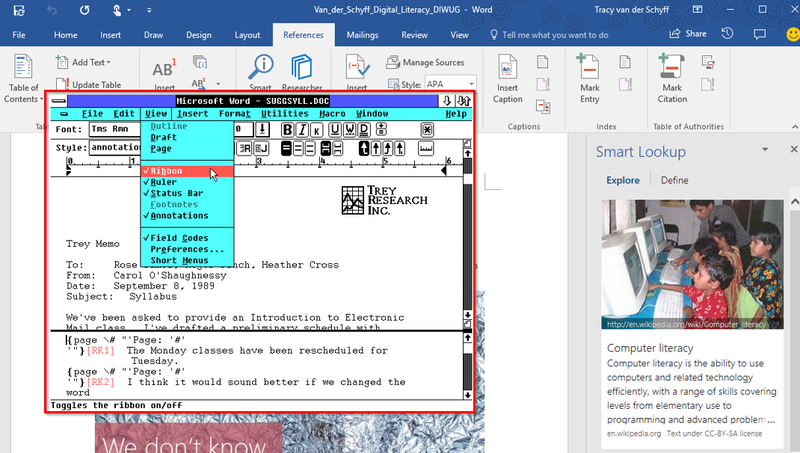 Luckily for us geeky peeps, Office online (Office 365) has changed all of this. You can now have the latest version of everything, because it’s subscription based. Free version (latest) of Office that you can use in your web browser. Try the Office Online apps. With (some) Office 365 subscription plans you get the fully installed Office applications: Word, Excel, PowerPoint, OneNote, Outlook, Publisher, and Access (Publisher and Access are available on PC only). Office 365 is updated constantly which means you will always have the latest version of Office. See Release Preferences for more information on this. Learn more about Office 365. Office as a one-time purchase includes applications such as Word, Excel, and PowerPoint for use on a single PC or Mac. The applications are not automatically updated; to get the latest version, you must purchase Office again when the new version becomes available. Learn more about the difference between Office 365 and Office 2016. In November (2017) Office will be 27 years old. We’ve come a long way and I’m not ashamed to admit that I’ve been there from the start. Word was actually released October 25, 1983. Which makes it 34 years old. January 17, 1994 Office 4.0 Word 6.0, Excel 4.0, PowerPoint 3.0. June 2, 1994 Office 4.3 Word 6.0, Excel 5.0, PowerPoint 4.0, Mail 3.2 and in the Pro version, Access 2.0. July 3, 1994 Office for NT4.2 Word 6.0 and Excel 5.0 (both 32-bit, i386, MIPS, PowerPC, and Alpha), PowerPoint 4.0 (16-bit), “Microsoft Office Manager”. August 24, 1995 Office 95 Word 7 for Windows 95, etc. November 19, 1996 Office 97 Word 97, etc. June 20, 1997 Office 97 Powered by Word 98 The only way to get Word 98. June 7, 1999 Office 2000 Word 2000, etc. May 31, 2001 Office XP Word 2002, etc. October 21, 2003 Office 2003 Word 2003, etc. January 30, 2007 Office 2007 Word 2007, etc. June 15, 2010 Office 2010 Word 2010, etc. January 29, 2013. Office 2013 Word 2013, etc. September 22, 2015 Office 2016 Word 2016, etc. Save to OneDrive, to get your documents from your computer, tablet, or phone. Word 2016 Training Roadmap / What is Word? Spreadsheet program used to store and retrieve numerical data in a grid format of columns and rows. Excel 2016 Training Roadmap / What is Excel? Powerful presentation software that uses slides to convey information rich in multimedia. PowerPoint 2016 Roadmap / What is PowerPoint? OneNote is a digital notebook that automatically saves and syncs your notes. Collaborate with others in shared notebooks. Access up to date info from almost any device. E-mail software program that allows for sending and receiving of emails, manage your calendar, notes and tasks. Outlook 2016 Roadmap / What is Outlook? Publisher is a desktop publishing application that helps you create visually rich, professional-looking publications. Lay out content for print or online publication in a variety of predesigned templates. Create simple items like greeting cards and labels. Create complex projects like yearbooks, catalogs, and professional email newsletters. Access 2016 Training Roadmap / What is Access? Learn more about Office Professional 2016. And there you have it. Office rocks!! At least 200 of the 365 blogs I wrote in my Around the Office in 365 days Challenge was just on Microsoft Office. I learnt something new every single day and so can you. Remember that we only know what we know – this means that you’re most probably only using about 10% of the Office functionality without you knowing it. Challenge yourself to learn just one thing every day. There is so much out there to help you be better, faster and more efficient than you are already.